Christina Easton, who is unfortunately engaged, put together a very unique guide to iPod-ifying a wedding. Everything from planning the wedding with podcasts to selecting and creating the entire reception playlist, gifting, photography and video is covered. 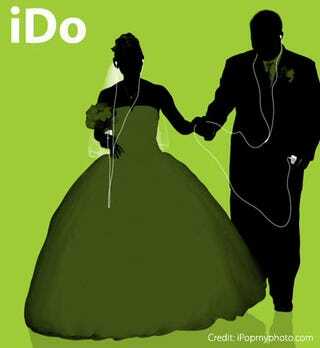 Don't forget about having an iPod-shaped wedding cake. Personally, I have never considered utilizing the iPod to plan a wedding, but Easton has some really good points that may make the wedding-planning process a bit easier.